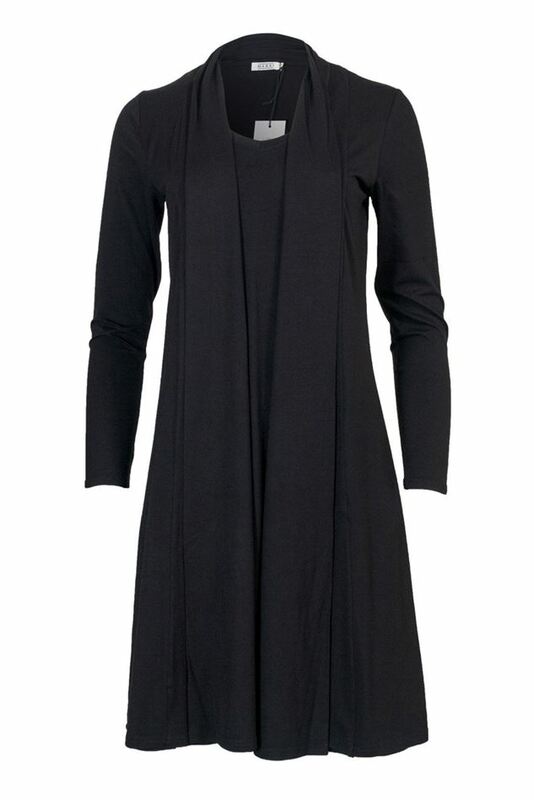 This is a wonderful dress in a soft comfortable jersey fabric suitable for any occasion. This is a wonderful dress in a soft comfortable jersey fabric suitable for any occasion. It has long sleeves, a V neck and a waterfall hanging detail at the front on either side as an extra layer.